Engineered fall protection systems will be the topic of the next free webinar in 3M’s popular Safety Spotlight Webinar Series. The webinar will run from 10.00 to 11.00 on 20 November, 2017. It will be suited for employers, health and safety managers, and anyone whose job involves working at height, no matter their industry. The interactive webinar will be led by Stuart Linnitt, the science-based technology company’s global fall protection engineered systems business manager. Stuart has more than 30 years’ international experience with working at height, following a decade’s active service with a search and rescue team, for which he worked as a rope / technical access specialist, an instructor and a sales director. 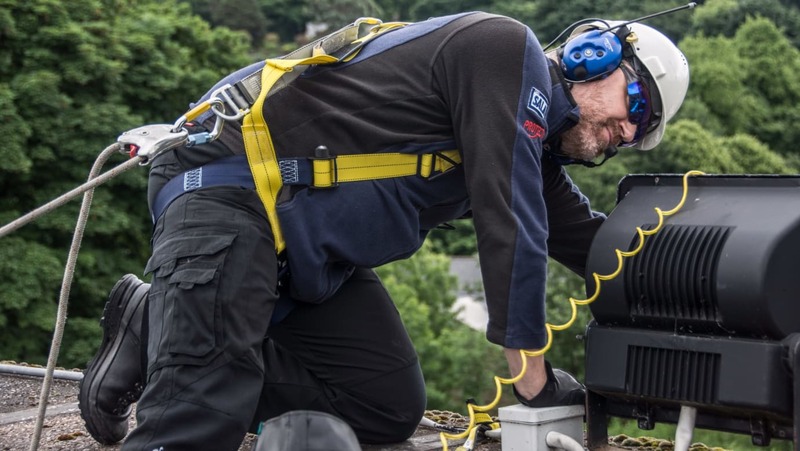 Throughout his career, he has worked closely with specifiers, fitters, influencers and users of fall arrest equipment and anchorages in a wide range of environments. This has given him invaluable first-hand experience of the risks, considerations and challenges associated with engineered systems and associated personal protective equipment (PPE). During the webinar, Stuart will provide valuable insight into the wide variety of engineered system solutions available, including fixed anchors, horizontal cable and rail lifelines. He will also discuss the various design, application and engineering solutions available, together with their associated limitations, standards and parameters. Stuart said: “Falls from height kill more people than any other type of workplace accident. In 2015/16, they accounted for 26 per cent of all 144 such deaths in the UK, according to the Health and Safety Executive. "Employers, health and safety managers and anyone who will themselves be working at height must be aware of the potential hazards, as well as the potential solutions available.